In the summer of 2013, I spent a week on the University of East Anglia campus for the BCLT literary translation summer school. Most of that week was spent translating a text with my group of fellow Portuguese translators, alongside the story's author, Cristhiano Aguiar. One of the characters in that story is a student from the Brazilian state of Pernambuco, introduced as being the grandson of Japanese immigrants. While most of us in the room grazed over this detail, moving onto more thorny translation issues, it was met with quizzical looks by a couple of editors who sat in with us one afternoon. We realized at that moment how people with little to no firsthand experience with Brazil are often unaware that the country is home to the largest Japanese population outside of Japan. The first Japanese immigrants arrived in Brazil in 1908, and as of 2000 there were between 1.4 and 1.5 million people of Japanese descent in Brazil. I devoured more gyoza and yakisoba in the four years I lived in São Paulo than all the rest of my years combined. This "a-ha" moment made me question where and how this population is represented in Brazilian literature, and by whom. While I've come across passing mentions of the Japanese community and a handful of minor Japanese-Brazilian characters, I desperately wanted to get my hands on a strong novel with compelling Japanese-Brazilian protagonists, but struggled to find it. So I was delighted to discover Nihonjin by Oscar Nakasato. In an interview with Nakasato in Brazilian lit mag Rascunho, he reveals a similar frustration led him to write the novel. Researching his doctoral dissertation, he was troubled by the way Japanese-Brazilians were represented in literature (or total lack thereof) and decided to write a novel about the Japanese immigrant community in Brazil. The book follows three generations of one family in Brazil through windows on major life events, accompanying the family's proud patriarch, Hideo Inabata, from Kobe to the port of Santos with the first wave of immigrants from Japan. We are witness to their hardships during the years spent laboring alongside Italian immigrants on the coffee plantations, then follow the family to the bustling neighborhood of Liberdade in São Paulo, where new conflicts arise, rooted both within the family and in the community and world around them. Despite the epic-sounding nature of this book, it is only 175 pages long. It has no intention of providing grandiose accounts of the history of Japanese immigration (which you can find elsewhere), or detailed explanations for why these people trekked across the globe to a country and landscape so culturally different from their own. Instead, through Hideo's grandson, the book's narrator and the only unnamed character in the book, the reader is presented with a sort of family album of personal memories, feelings and perceptions. Family members die, new generations are born, children are disowned, new relationships are forged, and dreams of returning to Japan wither away. Nihonjin was the recipient of the first-ever Benvirá prize, awarded by the publisher Saraiva to emerging, undiscovered Brazilian authors. After winning the Benvirá, it went on to win the Jabuti for best novel. Of all the awards in Brazil, the Jabuti seems to be the one most plagued by literati drama. Not for the first time, or the last, 2012 was a bit of a weird year for the prize, and Nihonjin got wrapped up in the middle of it. The short version is that one of the jurors went rogue and the ensuing kerfuffle brought attention the book otherwise might not have received. Unfortunately one side-effect was that some folks questioned its right to be there, when the book, and its very real merits, had nothing to do with the controversy. I found this book to be a breath of fresh air in so many ways. The writing is direct, devoid of flourishes or sentimentality, but it also has a delicate, dreamy depth to it. This understated elegance and serenity in the face of the ever-present conflict between the characters' two "worlds" feels appropriate, a sort of zen-like written representation of the Japanese aesthetic. Standing firmly outside the club of names circulating and recirculating on the Brazilian literary scene, this book brings fresh talent, fresh subject matter, and fresh characters. And its literary strength and impressive awards are proof that it's worth looking around outside the usual lists. 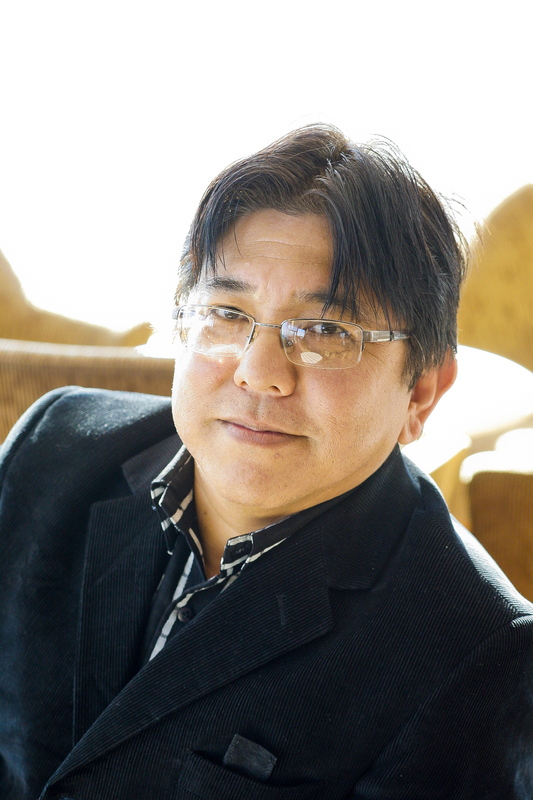 Oscar Nakasato hails from the southern Brazilian state of Paraná, and is the grandson of Japanese immigrants. He has a Masters in Comparative Literature and a PhD in Brazilian Literature and teaches in his home state. Several of his short stories have been awarded prizes. Nihonjin is his first novel. 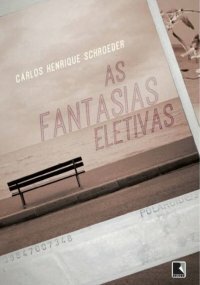 As fantasias eletivas (Elective Fantasies), published by Record in July, is svelte little thing of just over 110 pages. Carlos Henrique Schroeder is best known for his short stories, so perhaps it's no surprise he also keeps his novels short and sweet. I'm not a particularly fast reader, and even slower when reading in Portuguese, but I managed to finish this book in a single sitting, on an appropriately grey, "I think summer might really be over" kind of day. As fantasias eletivas is the story of Renê, a receptionist who works the night shift at a hotel in the Brazilian seaside town of Balneário Camboriú. It's the off-season, and the beaches and hotels, once teeming with tourists, are deserted. Renê (also known by his coworkers as 'Mister Alcohol', for both his clean freak tendencies and his drinking habits) has more or less lost everything good in his life. His marriage has fallen apart, he's not allowed contact with his young son (for reasons that remain unclear, but were apparently pretty grisly), his parents no longer want to speak to him. He arrived in the city in an effort to escape his past, and after a failed suicide attempt he leads a sad, solitary life, going through motions, working the hotel reception, procuring an array of products and services for guests, wiping down the front desk over and over, walking home, eating one of two meals he knows how to prepare. And repeat. One evening he meets Copi, a transexual prostitute from Argentina working the boardwalk. After a rocky start, the two form an unlikely friendship in their shared exile by the sea. Copi is an amateur writer and Polaroid photographer, and Renê is the only person who will see her collection of photos and short, poetic texts that accompany them, reflections on literature, solitude, isolation, and the human experience. Brilliant poetry, this is not, but I believe that's sort of the point. Renê and Copi both have a lot of secrets, and this book never attempts to reveal them all. The reader dips into their lives briefly, catching glimpses of their pasts, but there is no resolution in the end, and a lot of unanswered questions are left. For such a small book it carries a surprising amount of weight, and not just because in that short span of pages the author manages to include a book within a book, mixing prose, poetry and photography. There's something cinematic about the atmospheric backdrop of a beach resort in the off-season, itself becoming a character. Though I hate to draw comparisons to Sergio Y. Vai à America, another recent Brazilian book with a transexual character, I found the two bookended one another nicely. 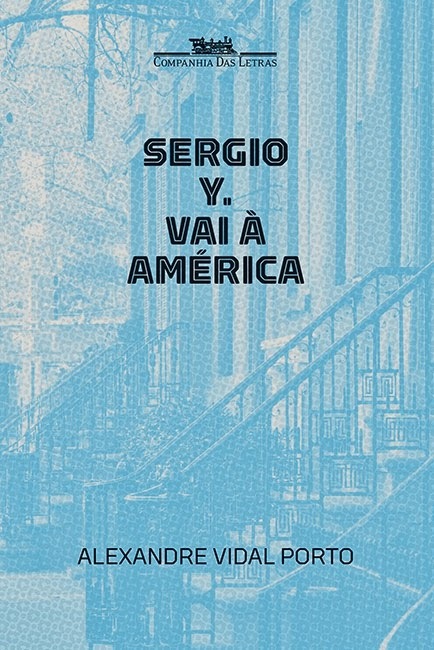 Both contain their moments of sad beauty, but whereas Sergio Y. turned out to be a book of surprising hope in spite of all its tragic elements, As Fantasias Eletivas is an overwhelmingly sad book, despite its hopeful, sometimes comedic, elements. Carlos Henrique Schroeder was born in rural Santa Catarina, in southern Brazil, in 1978. He is the author of As certezas e as palavras, which won the Brazilian National Library Foundation's Clarice Lispector award for short stories in 2010, and was a finalist for 2011 Portugal Telecom prize. He created Brazil's National Short Story Festival and coordinates the Formas Breves short story imprint for Ebook publisher e-galáxia. 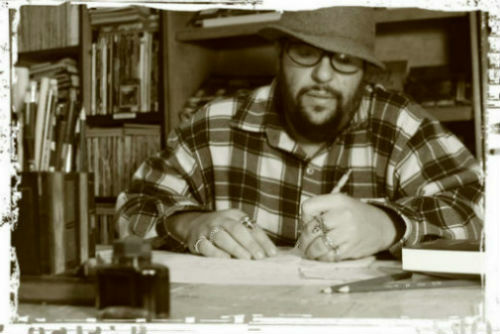 He is also the executive editor of Revista Pessoa, where he curates the short story section. To find out more about Carlos Henrique or to inquire about international rights, contact the MTS literary agency. Less a resolution, more a desire to be more mindful, I started 2014 determined to read more women authors, both in translation and untranslated (of which there are plenty to keep us all occupied in the latter category). 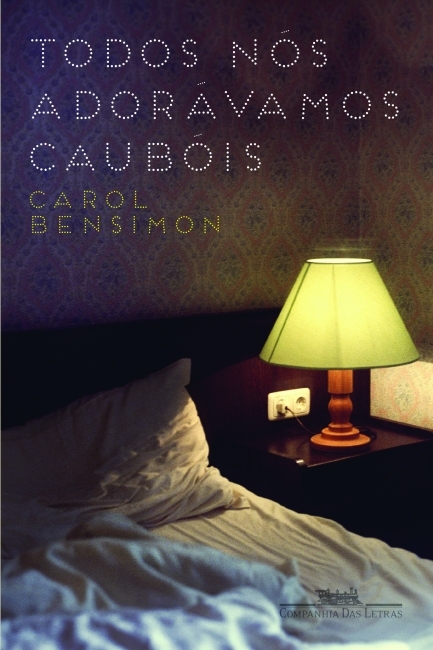 De gados e homens(published by Editora Record, 2013) was my first Brazilian book of the year, and I am in love. I downloaded this 120-odd page book an hour before setting out to the airport for a weekend in Madrid, and had finished it by the time the plane landed. On the train home back to London I'd already downloaded three of her other books, and have since read her short collection of short stories, Javalis no Quintal e outras estórias. I can't get enough of Ana Paula Maia. Hopefully this is a sign of things to come on my conscious quest to read more women writers, and Ana Paula hasn't just set an impossibly high bar. 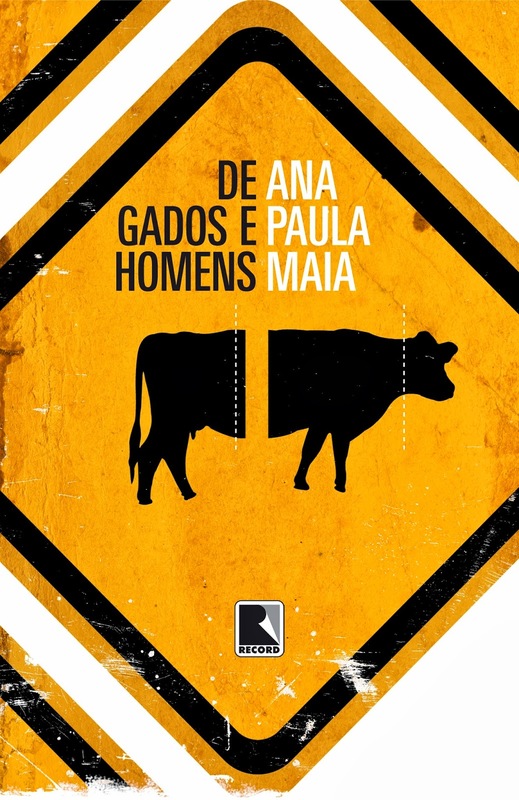 De gados e homens or 'Of Cattle and Men' (sidenote: I'm not entirely sold on this title, it feels gimmicky, but I suppose there is something Steinbeck-ian in the writing) is the story of Edgar Wilson, a protagonist who appeared in her previous trilogy that concluded with Carvão animal. Edgar is a former coal miner and now works at a slaughterhouse somewhere in the wide open spaces of Brazilian cattle country, where he lives in shared accommodation provided by the ranch. Although convinced his true calling lies in hog farming, he diligently and skillfully performs his duties (his craft? ), slaughtering cattle to be sent to the nearby hamburger factory (though a hamburger has never touched his lips). The act of carefully putting the cattle to sleep before they reach their bloody end is an almost religious experience for Edgar, filled with important ritual. One day, the cattle on the ranch begin to act strangely, and start to drop dead under unusual circumstances, some surreal, fantastical, even biblical. Edgar and the other employees are left guessing, wondering what (or who) could be behind the dark events. You're not quite sure if this is the apocalypse, or just a prank. Meanwhile, the owner of the ranch, Milo, is losing precious money on the dead livestock and the impoverished inhabitants of the surrounding area give thanks to the heavens for the much-needed (and free) food. The slaughterhouse, the town, and all the characters are fictional. That includes Santiago, who arrives on the ranch from Finland, where he slaughtered reindeer in a ski mask; Burunga, who earns a healthy side income running bets on how long he can hold his head under water; and Bronco Gil, the mysterious wrangler with a glass eye. Yet no matter how far-fetched, they are all still entirely plausible. While reading I kept thinking: she gets it. She gets human beings and fiction and reality, and how you represent humans and reality in fiction, and not just the bored, upper class city dwellers populating so much of contemporary Brazilian literature. She gets rugged, hardworking, everyday men (aside from a mention of a character's ex-wife and a brief interaction with an eager animal rights activist, there are no female characters in the book) working in an unforgiving industry and in unforgiving surroundings. Brazilian literature's typically light hand when it comes to editing often means reading things that feel almost there, but are frustratingly rough around the edges. In De gados e homens, every word feels in its right place, strung together into powerful sentences with surgical precision. Her prose is stark and direct. This is visceral, testosterone-fueled writing that hits you in the gut; there's no real heart in this book, and I'm not sure if you could even say it has a soul (though the topic does come up). In the span of a few paragraphs, Edgar Wilson shows the reader a profoundly tender side, then the depths of coldness and evil. In many places it feels like a Cormac McCarthy novel (and not just because of the bolt pistol), but I also found myself laughing out loud on nearly every page. What I also found fascinating about this book is Ana Paula's ability to create vivid, cinematic images through text. Her wikipedia entry cites Tarantino, the Coen brothers, and Sergio Leone as influences, and she has written scripts for both short and full-length films. It would make an excellent movie, and I really hope this is picked up for a screenplay. Well, well... who knew Edgar Wilson was such a beefcake? Not exactly the way I pictured him while reading, but the Brahman cattle and rolling hills are on the mark. Ana Paula Maia hails from the Brazilian state of Rio de Janeiro, where she studied theatre, computer science, and media studies, and played in a punk rock band. De gados e homens is her fifth novel and her short stories have appeared in various anthologies. She has also written screenplays, and her adaptation of a novel by Mexican writer David Toscana is currently in filming. 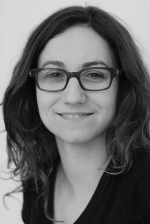 Her work has been translated into German, French and Serbian, and she blogs here. She is represented by the Anja Saile literary agency. An hour after hearing Ferréz read at the final Flipside roundtable, copies of Capão Pecado and Deus foi almoçar were already downloading to my Kindle onthe train ride back to London. He was one of the writers I was most looking forward to hearing during the festival, and he proved to be funny and down-to-earth, as well as a very talented writer. 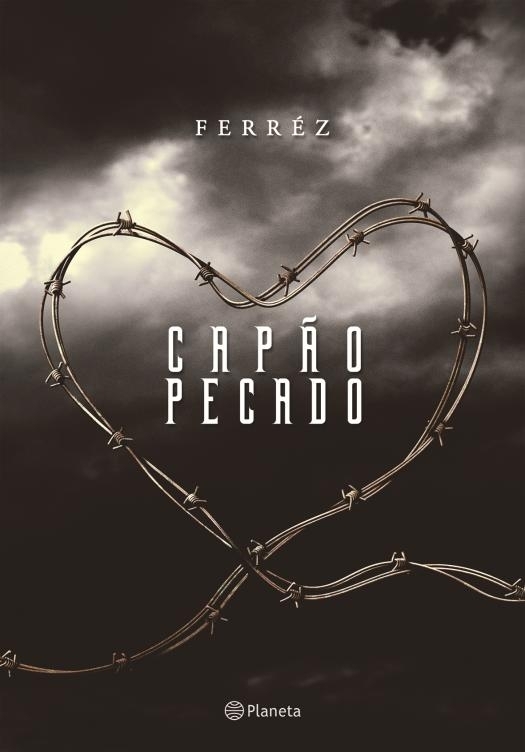 Capão Pecado was Ferréz's first novel. Though the book never explicitly states its location, it's not hard to figure out that Capão Pecado is really Capão Redondo, one of São Paulo's most (if not the most) dangerous favelas. Though I haven't seen the original edition of the book from 1999, I have heard that it differed quite a bit from its current format, including photos, a different layout, etc., and as such the ties to the real-life neighborhood were more obvious. The book's protagonist is a teenager named Rael, a smart, sweet kid growing up in difficult conditions: his father is an alcoholic and the family can barely make ends meet. Rael reads a lot, he loves his mother, and he works hard, getting up early every morning to work at a bakery. We also meet several of his friends and peers, some more involved than others in the violence and drug trade that appears on nearly every page. According to the preface, most of these characters are real to some extent (not even changing their names), and I wonder if some parts of Rael are loosely based on Ferréz's younger self. Rael's dream was to be a writer, and for awhile you think he just might make it out, but his fate is sealed when he makes the fatal mistake of falling in love with his best friend's girlfriend. Lately whenever people talk about the past, present and future of Brazilian literature, the conversation inevitably turns to a discussion of expected cultural markers and stereotypes, and how to move away from all the Copacabana, futebol, and samba. Following the international success of movies like City of God (Cidade de Deus) and Elite Squad (Tropa de Elite), favelas also increasingly enter into that list of stereotypes. But all those cultural markers are real and based on the reality of life for many Brazilians (favelas more than any). Ferréz is often categorized as writing "marginal literature". He writes raw stories of life in the areas of urban São Paulo that are often overshadowed by their more famous counterparts in Rio. The feeling I had reading Capão Pecado was something akin to what I felt when I saw Walter Salles's film Linha de passe, which also takes place in the poverty-stricken outskirts of São Paulo – a bleak, but very real picture of life in São Paulo that made me immediately want to share it with friends and family who perhaps never get a glimpse of that side of Brazil. More about the author: Ferréz was born Reginaldo Ferreira da Silva on the outskirts of São Paulo in 1975. In addition to Capão Pecado, his has written two other novels (Deus Foi Almoçar and Manual Prático doÓdio), a collection of poems (Fortaleza da Desilusão), as well as short stories, screenplays, and children's literature. He also runs a hip hop clothing line and works as a singer and songwriter. His writing has been translated and published in Italy, Germany, Portugal and Spain. You can read more about him on his blog, from the Mertin literary agency, or on Frankfurt Book Fair website. 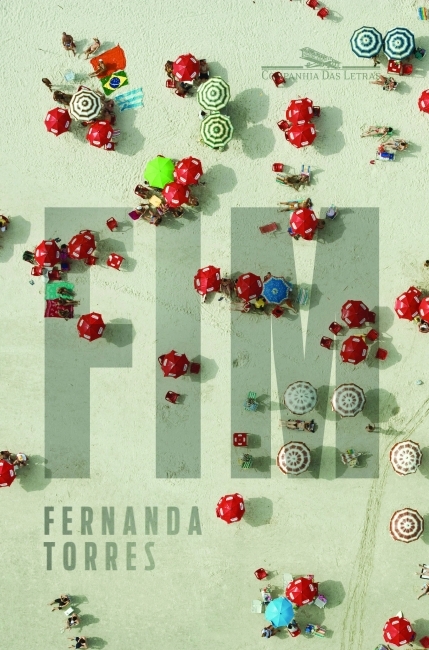 Another fresh pick, Fim (The End) by Fernanda Torres was published by Companhia das Letras on November 12. I was so excited to read this, but equally nervous. 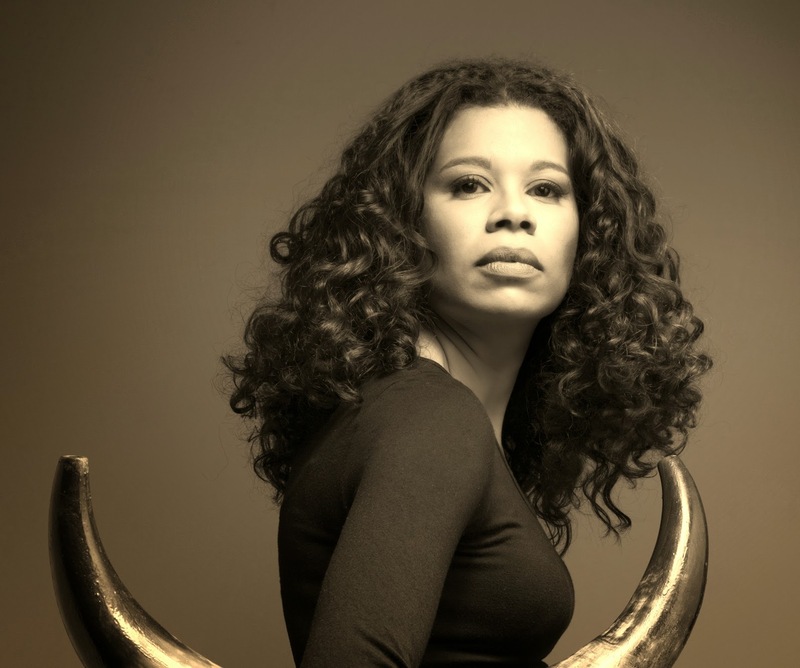 Fernanda Torres is an award-winning actress, the daughter of Brazilian cinema and theater royalty, and has built an incredible career both on stage and on screen. She's proven her chops in dramatic roles, but she can also totally crack me up. I spent a lot of my early days in Brazil watching episodes of her sitcom, Os Normais. She's written a play, and has recently been writing for Piauí, Brazil's version of the New Yorker, but this is her first book. Was this one more in Companhia das Letras’ string of novels written by celebrities (including Tony Bellotto, Vanessa da Mata or ol' olhos azuis, Chico Buarque)? After the first couple of pages, all fears washed away and I was hooked. Hilarious, often sad, it is an extremely well written and touching book. Fimoriginally started as a short story, after a request from film director Fernando Meirelles (City of God, Blindness) for a project that ultimately never came to fruition. The book is about five aging, middle class friends in Rio de Janeiro: Alvaro, Ciro, Neto, Ribeiro and Silvio. It is told through a series of first person, interior monologues, interspersed with third-person narrative. Each of these main characters narrates one stream-of-consciousness chapter, which includes the moments leading up to and including their own death. The book opens with Alvaro, the last of the group to die. He’s a bit of a curmudgeon, increasingly frustrated and exhausted by the aging process. Next we meet Silvio, a party animal until the very end. A beach bum and swimming instructor, Ribeiro is the perpetual bachelor of the group who never married or had children. Neto was the straight-laced family man, faithfully married his entire life. Ciro, a lawyer, is the final character introduced and the first of the group to die. After his shocking behavior towards his wife alienates him from everyone but Silvio, he is diagnosed with terminal cancer in his fifties, and ultimately dies alone. In addition to the main characters, we also learn a great deal about the various people (mostly women) orbiting the men’s lives, both past and present: wives, ex-wives, girlfriends, lovers, and children. Fim is driven much more by all these characters than by any incident or pattern of events. Fernanda really nails these characters. The characters themselves have a shared past, but are ultimately very different individuals. It was amazing to me how Fernanda not only successfully managed to give each of the main characters a distinct, clear (and male) voice, but also how well she wrote in the first person. The stories are not chronological, and the narration jumps from past to present and back again. We therefore end up learning about the same events from several players, filling in information as the book goes along. The same stories begin to overlap, told from numerous perspectives, and the reader sees that not everything is how it seems. There are no lessons being taught, no flowery prose–Fernanda's prose is lean without being minimalist, retaining all the color and brightness that makes Rio so special. The end result is literary without trying to be–just solid writing that pulses forward, giving the reader pause to reflect, laugh a little and even daydream about Rio in the 70s. Just as in Fernanda’s acting career, she shows she can handle dense drama with the same deftness as bawdy humor. She feels firmly in charge, and it never feels like a first novel. I will bet that this book will be a bestseller in Brazil on her name alone, but I suspect it could also have done well under a pen name. More about the author: Fernanda Torres was born in Rio de Janeiro. Her career in the theater, cinema and on TV spans over 35 years. She won the award for Best Actress at the Cannes Film Festival in 1986. She is a columnist for the Folha de S.Paulo newspaper, Veja Rio magazine and a regular contributor to Piauí magazine. Fim is her first novel. Santiago Nazarian is a hot name among young Brazilian writers today, and one that had been on my radar for some time, so I was pleased to finally be able to sit down and read one of his books. 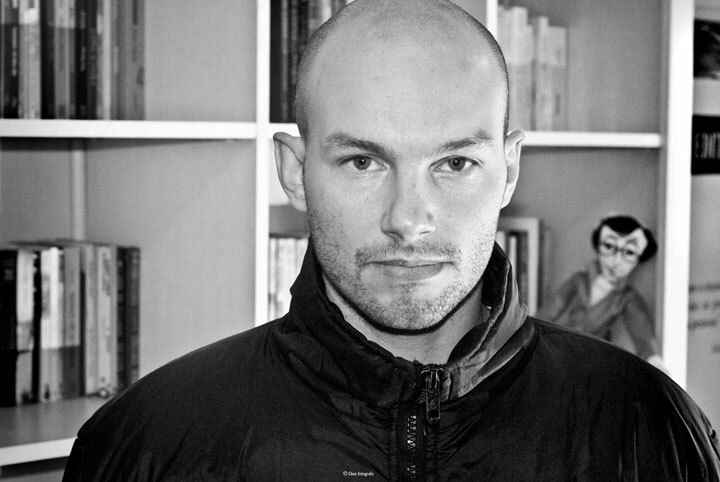 He's famously outspoken on the São Paulo literary scene, traveling and appearing at various events and festivals, and is a regular blogger (perhaps best known for his rant about the Granta selection process for last year's Brazil issue). He's written short stories, novels, novellas, young adult fiction, and TV scripts, and is also a literary translator. Santiago's writing has been described as "bizarre existentialist", gothic and pop, and I think he champions the idea that pop can also be literary, and that, in the right hands, contemporary can sit comfortably alongside classical literary references. If I had to sum up Feriado de mim mesmo (Holiday From Myself) in one line, I'd say: Poe meets Hitchcock with a flourish of Kafka (and not just because a cockroach features prominently in the story), on a solid foundation of MTV. The narrator of this thriller is a young man, living in Porto Alegre (the city where Santiago was living when he wrote the book), who works from home as a translator. He leads an extremely solitary life, often leaving his house only to go to the grocery store. He has no friends, no roommates, no girlfriend. He doesn't know his neighbors, and even his parents have moved away. One day strange things start to happen. The channel on the TV changes, things aren't where he left them, food has been nibbled in the fridge, an extra toothbrush at the sink, mysterious messages left for someone with another name on his answering machine... And thus starts the frantic spiral into Miguel's mind. Has someone broken into his apartment? Is there something paranormal going on? Or is he just paranoid? Has he created the intruder in his mind? Is he schizophrenic? He sets out on a quest to uncover the intruder's identity, phoning his landlord (who's never heard of him), arranging a meeting (he doesn't show up). Fed up and desperate to return to his quiet life, he tries to get rid of the intruder, throwing out his things, threatening him, even going as far as putting rat poison in the leftover chicken, until it all goes a bit too far. There were lots of warm drops, the shower. The shower dripping on him. Dripping on his hand, turning the tap. A little hotter. A little colder. The exact temperature, to start the day. The water trickling down the drain – it reminded him he needed to clean. Reminded him he needed to clean the apartment. Some day, not that day. Debris coming in through the window. His remains trickling down his skin. He wouldn’t have to do a thing, and the apartment would continue to get covered in dust. Rumors have circulated for years about the film adaptation of the book, but currently that all seems to have stalled. Last year, however, it was adapted for the stage in Rio, in a production that uses three actor/narrators for the role of Miguel. Feriado de mim mesmo was published by Planeta (2005, 160 pgs), and unfortunately is currently out of print. To read the full sample, contact the Mertin literary agency. A little about the author: Santiago Nazarian was born in São Paulo, where he lives today, but wrote his first books in Porto Alegre. In 2003 he was awarded the Prêmio Fundação Conrado Wessel de Literatura for Olívio, his first published novel. He's been a bookseller, English teacher, advertising copywriter, and also writes scripts for TV. He blogs regularly here. To learn more about Santiago, or to contact his agent, click here. This little book, which I read on the train somewhere between Milton Keynes and Stoke-on-Trent, was given to me by someone who said "I think you'll like this, since you're into 'the weird stuff'". Apparently I'm earning a bit of a reputation. But if that reputation means liking something like Os anões (The Dwarves) by Veronica Stigger, I'll gladly own it. Apart from being just a mere 57 pages in total, the first thing to jump out about this book is that it's been printed as a board book (you know those thick-paged children's books for very young readers?). It's just one of the many ways Veronica has brought in the feelings of smallness, strangeness, peculiarity. I would hope that if (when!) this is translated into English as a complete collection, the publisher would respect this aspect of the book. The experimental book is a collection of what you might call micro stories. Even micro mini. They're tiny. The title story, also the longest, is just a little over five pages. Others are a few pages, and others just a few lines. These stories are so absurd, so surreal, and also hilariously violent (can I put those two words together?) that I'm pretty sure I read most of this book with my mouth open. At one point I caught myself repeating "Oh my God, oh my God, oh my God", only to be shocked even further just a few lines down. The title story tells us the story of a couple of little people who cut in line at a candy shop and incite a lynch mob. Other stories include a guy who's sued for displaying a tattoo of a poem, or actors tumbling to their deaths from a cable car. These aren't just miniature stories. Some of them are downright embryonic. But their brevity keeps them resonating in your mind for days to come. Os anões is Veronica's third book, and the second published by Cosac Naify, a Brazilian publisher I know mainly for their catalog of beautiful art, photography and design books. Originally from Porto Alegre, she's lived in São Paulo for the last twelve years. She is a writer, poet, art critic and university professor. Let me come clean right now. Lourenço Mutarelli is my Brazilian literary Johnny Depp. I will read anything he writes, no questions asked. If he suddenly switched gears and started writing cheesy science fiction romance novels set in Biblical times, I would buy them. Luckily for us all, Lourenço has yet put me in the equivalent position of watching the Lone Ranger. 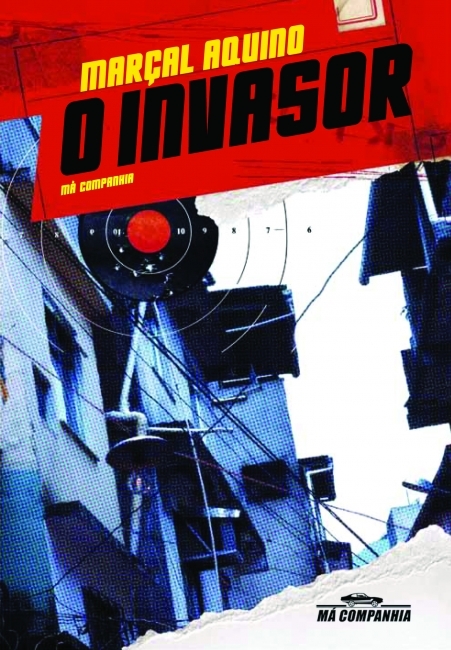 Published by Companhia das Letras in 2010, this novella is 136 pages of pure dialogue (more on that later). I love what the publisher has done with Mutarelli's books, which feature matte, textured covers, rounded corners, illustrations by the author and repetition of a particular color on the inside pages and even in the color of the text. The title of this slim book is a biblical verse (Psalm 23:1, according to my googling), I shall not want. Nade me faltará is the story of Paulo, a man who mysteriously disappeared with his wife and young daughter, then reappears, just as mysteriously, a year later on the front steps of his old apartment. Paulo is questioned by the police, doctors, friends and family members, but he remembers nothing about what happened. He moves in with his mother and sinks into a state of tiredness and disinterest. The situation gets increasingly complicated as those around him expect the return of the 'old Paulo' they knew before the disappearance, but no one seems to understand that, for Paulo, everything is fine. His disinterest in the whereabouts of his wife and daughter raises the suspicions of a detective and even his own mother, and his therapist is the only person to show any understanding in his attempts to crack Paulo's case. Using only dialogue, Mutarelli explores the ragged edges between sanity and madness, fantasy and reality, honesty and conspiracy. After the first few pages I flipped ahead to see if Mutarelli was going to keep up his use of dialogue the whole book, and he does. I was worried I wouldn't be able to keep the characters straight, or if he could even develop the story with this tactic, but it works surprisingly well, and although there's not much there, you're pulled along for the ride. Most of Mutarelli's books could be described as spare, but this one takes the idea of minimalism to a new level. I am a great admirer of minimalist music. Glass, Cage, Pärt, Bryars, Eno, Ostertag, Reich, etc… Although my first novels reflect this (O cheiro do ralo, O natimorto) I tried experimenting with something different in A arte de produzir efeito sem causa. I decided to return to this idea in a more radical way in this book. I wasn't looking for literary minimalism, but musical. The same attempted mainly by Glass and Cage. Glass doesn't like the expression “minimalism”, and prefers to call it “music with repetitive structures”. If you pay attention to his music, you will see that the variation occurs so subtly and, yet gradually transforms the entire base and sometimes even the theme. That was my primary inspiration and my goal. To transpose this idea onto a storyline, I thought of a simple story, a small theme, a mystery. The story of a family's disappearance. The best way I found to minimally and gradually vary the plot was to retell the story through different characters. I thought the idea of minimalism should also — and primarily — be in the narrative. So I chose to narrate it in dialogues. Simple dialogues. Everyday conversations. No poetry or affections. I wanted to construct a book with as little as possible. The challenge was to make the story intelligible. Using my career in comics and graphic novels, my idea was to narrate a story using just the speech bubbles. The dialogues. With no reminders or text boxes to situate the reader in time or space. 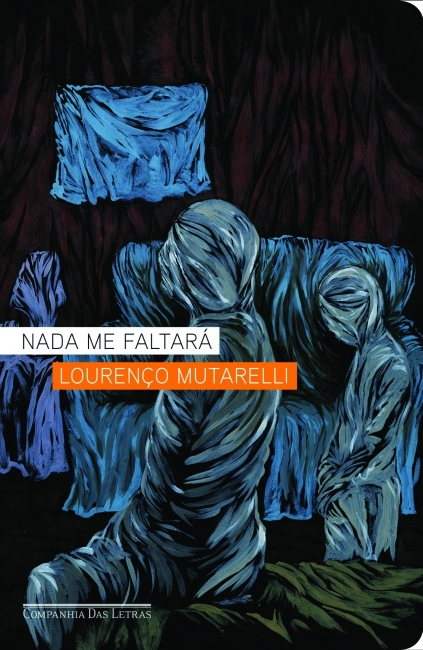 Nada me faltará is Lourenço's sixth book, and his third published exclusively by Companhia das Letras. He has also published numerous graphic novels and comic books, as well as a collection of plays, and his artwork has appeared in several magazines, films, and theatre productions. He appeared in the film adaptations of his books O Cheiro do Ralo (which you can read a sample of in the August 2013 issue of Words Without Borders) and O Natimorto, and in several plays. Mutarelli will be at the 2013 Frankfurt Book Fair as part of the Brazil delegation, and is represented by the RCW Literary Agency.